The Rig itself is a very comfortable carrie with molle system on entire front and rear for any attachments you may need. It comes with a Radio Pouch and lightweight shoulder pads with mesh interior to wick away moisture. 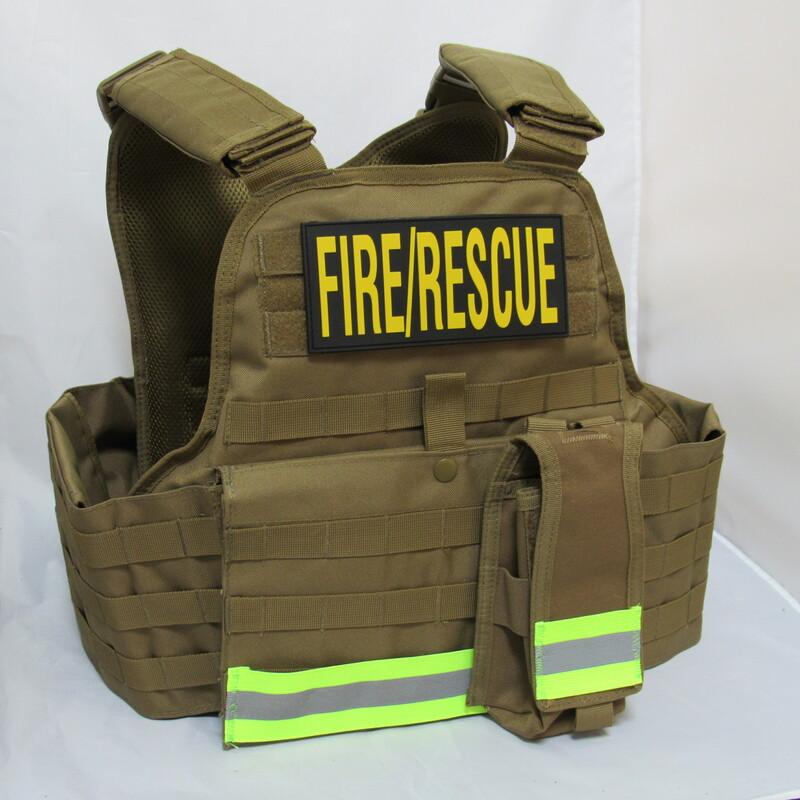 It has a removable cumberbun with side armor plate pockets and can be completely removed to convert to a Rapid Deployment Carrier with quick 2" snap shakle buckels on the side for an easy and quick donning and doffing. It is completely adjustable to fit all sizes from xsmall - xlarge. It comes with our OSS Level IV, NIJ 0101.06 armor plate that is comprised of the most advanced ballistic ingredients on the market (patented). These armor plates are a stand alone, multi hit, 10x12 SAPI/ESAPI plate with a single curve to provide a level of comfort along with the peace of mind knowing you have the strongest plate to date and onlyIt is 6.9lbs. It is comprised of Monolithic Ceramic and Polyethylene to provide the ultimate strength at a lighter weight than most other plates available today.